I am quite the fan of taking doll workshops and of learning new things. I am particularly excited about taking the workshop in Durham, N.C. in October hosted by Bradley Justice of the Swell Doll Shop. 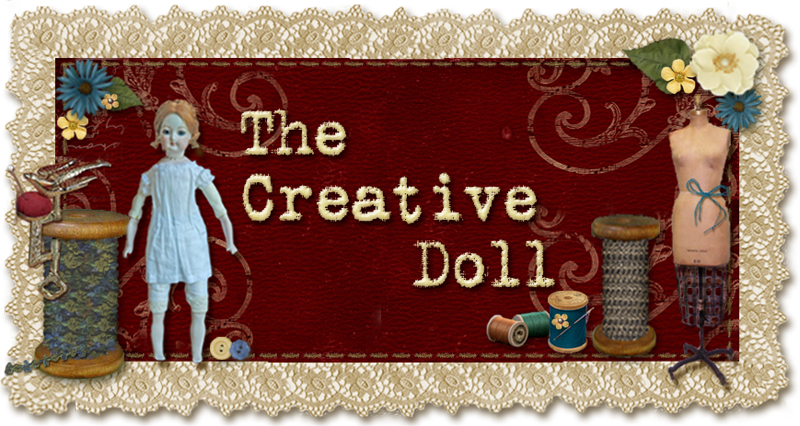 (http://www.swelldollshop.com/) Alice Leverett will be teaching one of her exquisite fashions for the Ultimate Fashion Doll. (www.justalice.com) If you do not have one of her 12” French Fashion dolls, bring your own. 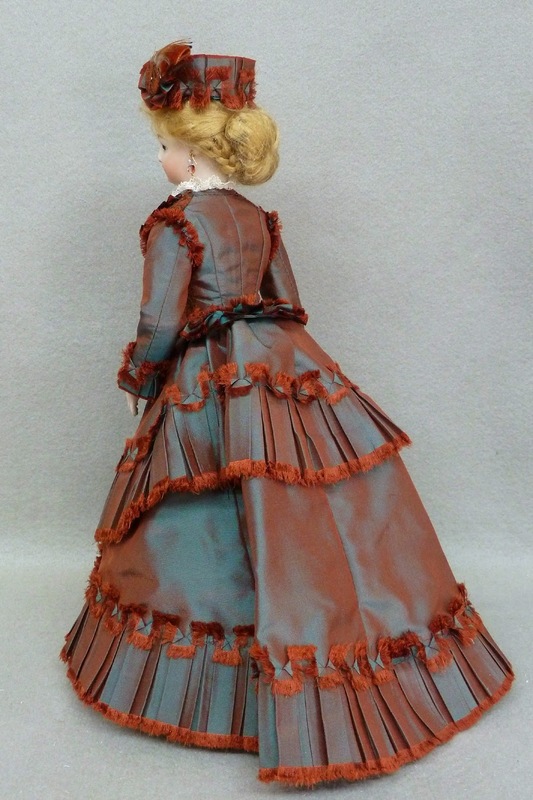 I have a friend who brought her antique to dress her, and many of 12” French Fashion Dolls of their own. I do have one of the Ultimate Fashion Dolls as my personal toy. She is in a state of undress quite often as she is constantly in the fitting room for something new. You might remember seeing her in The Creative Doll earlier, http://creativedoll.blogspot.com/2011/08/mary-kathleen-part-7-end.html, and with the Three Friends. My particular UFD is the Lady Jumeau, Zezette. I change her wigs but you usually see her with a blonde hair fashion to match her current fashion. She has green eyes. Atypical I know, but I wanted her that way. The workshop this year will begin on October 1. This is earlier than last year and I think I like the new time and am excited about attending. Alice has a beautiful touch and talent with these French Fashion dolls, as all of her creations. I do learn something NEW every class I take. This year I AM taking my featherweight sewing machine as I have sometimes have trouble completing the project. The trouble with an incomplete project is it will sit for quite some time until I can get back to it. Once I return home, the routine of daily life prevent me from sewing as much. I like having the committed time of a workshop. I also know there is another kit from a workshop I could not get to this year waiting for me to work it as well. Maybe we will have a cool winter this year, too! 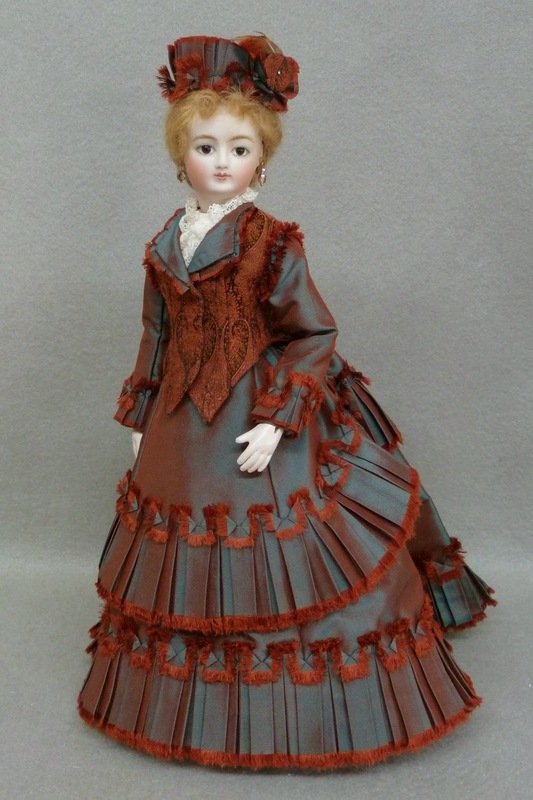 These Fashion Dolls have needs and make no bones about demanding new dresses, wigs, shoes, and assorted accessories. Each workshop is different. The presenters and planners sometimes have themes, and we make and trade additional items. Each person attending has a talent and share as they can. I am looking forward to having a theme this year as it inspires me to create a gift or trade that suits the theme. Anything can be fun! I hope I have time to make something fun! I like the gift sharing, or auctions or pulling names or numbers for presents. Each day after the workshop and supper we have spontaneous parties or we continue to sew into the night. We have a great time. These extras are great additions after a full day of sewing. There is always something going on. If you are sewing for French Fashions of the 12” size, I hope you will take the time to wend your way to Durham, N.C. If you need more information contact Bradley, he will fill you in. Click on the Swell Doll Shop, Contact at the lower right corner. We will be looking forward to seeing you. That doll is gorgeous. I can't wait to see yours.